Xiaomi has today launched the Amazfit Stratos smartwatch in India and it’s now available on Flipkart exclusively. The Amazfit Stratos carries a price tag of Rs 15,999, and is the higher-end option alongside the cheaper Amazfit Bip. Both devices have been available in China and were launched under the company’s Huami sub-brand. 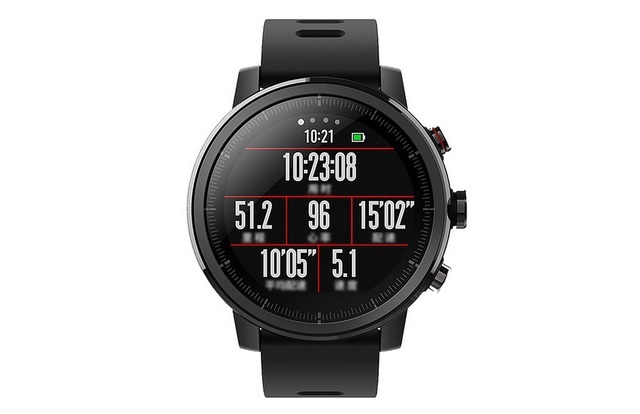 The Amazfit Stratos is GPS-equipped smartwatch designed to provide highly personalized metrics to users participating in over twelve different types of fitness activities. It features a 1.34-inch always-on LCD display (320×300) with a trans-reflective layer on it as well as Corning Gorilla Glass on top. The Stratos is powered by a 1.2GHz dual-core processor, 4GB of internal storage of which 2GB can be used for storing music. It comes with continuous heart rate tracking and can resist water up to five atmospheres i.e. nearly 50 meters of depth. the Stratos also features supports tracking via GPS and GLONASS. The Amazfit Stratos features software and sensors Firstbeat Technologies, which powers the heart rate analytics engine used aboard the Garmin Forerunner, and Zepp Labs. The software developed by Firstbeat lets the smartwatch track users’ VO2 max levels, which can be used to analyze how well are their bodies converting food into energy, also comprehensively guiding users about which areas to focus on the most.